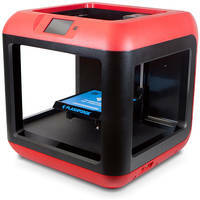 I have set up one of the new 3D printers today (the red one). It is a FlashForge Finder. Design or download the files for a part (in .stl format). 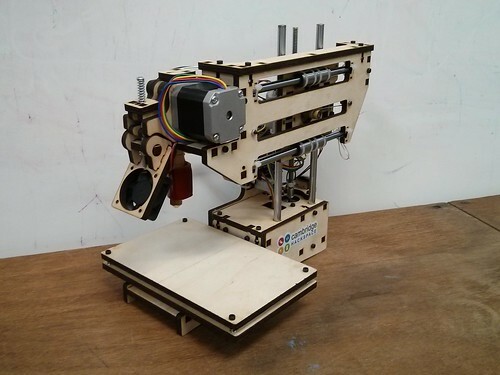 A good place to start is Thingiverse, it has thousands of projects that people have uploaded. You can get .stl files for the projects and send them to the printer with the FlashForge software. Open it with a slicer and generate the code for the printer. The slicer opens the file generated by the CAD tool and converts it to command that the printer understands (3D printers understand something called g-code). 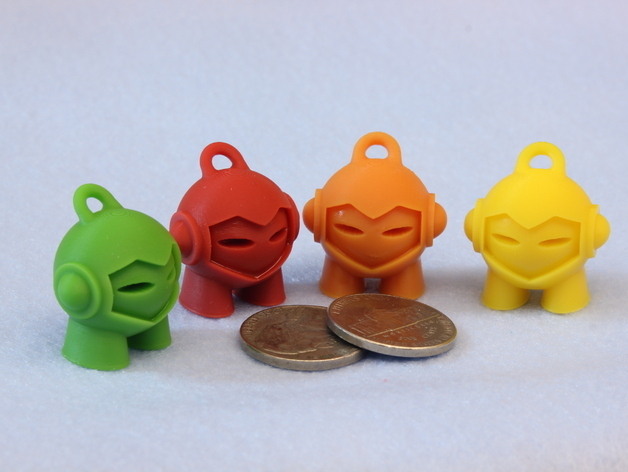 One of the best ones is Simplify3D, but it is expensive. The free software for the Finder (FlashPrint) does a good job too. Upload the file to the printer. This can be done with a USB drive (on the right side of the printer), or via WiFi from FlashPrint. The printer has its own WiFi network called FinderCHS: connect to that network, open the software and start the print. It is really quite simple once you have done it once. Finder Manual as PDF. You can connect over WiFi: FinderCHS. FlashForge Download Page for the FlashPrint software. Please use only PLA or PETG (my favorite at the moment), as it has no heated bed and you can only print up to 235 degrees. A good first thing to print is Marvin. Make sure you use the little white insert to guide the PLA into the extruder -- it helps to keep the filamenbt in the middle of the extrusion gear and ensures the best accuracy. To load PLA, the hot end must be hot. Plug in everything and click "set temperature" to 200 degrees. Wait until it gets warm and then loosen the fan assembly and manually feed the PLA down into the hot end extruding chamber until some starts to squirt out the bottom. Then replace the fan assembly carefully to provide tension against the extrusion gear.